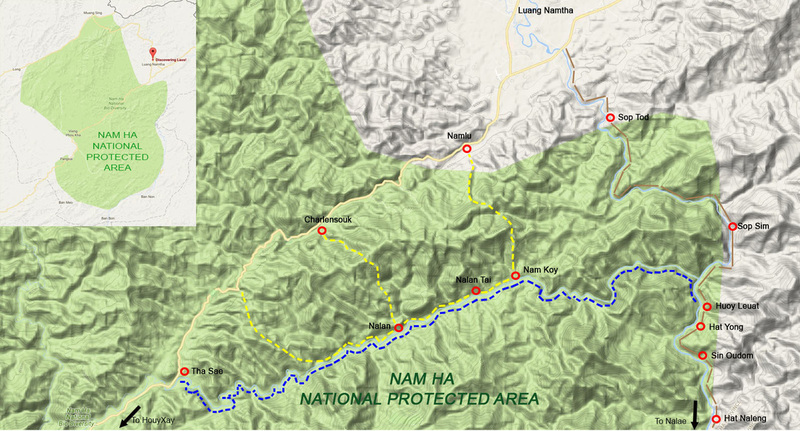 1 day trekking + 1 day kayaking tour on Namha river through the Namha National Park - Trekking in Luang Namtha, Laos - Hiking, Kayaking, Cycling, Village Tours - Discovering Laos! Great for those who want a taste of both worlds! Two fun days covering trekking, kayaking and cultural stay in the Nalan village! ​We meet up at 9am at the Discovering Laos office and catch a tuk-tuk ride to the morning market to gather fresh supplies before taking you to the start of the trail in Namha NPA for 10am. 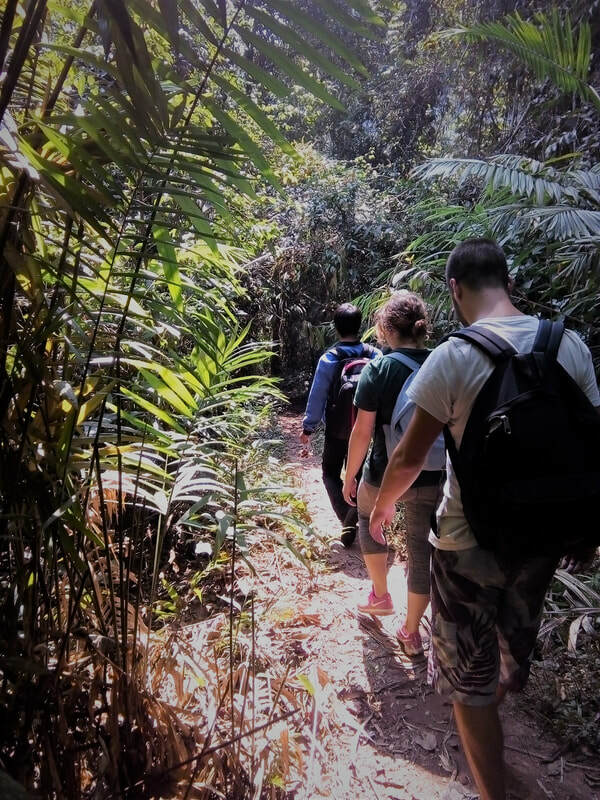 The hike leads you across hills and valleys of dense primary rainforest, finding yourself immediately immersed in the wild jungle environment. On the way our guides will stop to identify various plants and trees, and explain how they are used by the local indigenous people including a few samples to try. We stop for a delicious and authentic Lao-style jungle picnic. Watch and learn as our guides prepare the meal using the fresh supplies and some natural resources of the jungle cooked and served in bamboo! Continue on the trail through lush rainforest, using stepping stones and fallen logs to cross sparkling streams while sheltered from the sun’s heat by the canopies of huge and impressive trees. Further on the primary forest opens up to reveal a rich mosaic of cultivated lands passing through tall fields of rattan, cardamom and banana plants. 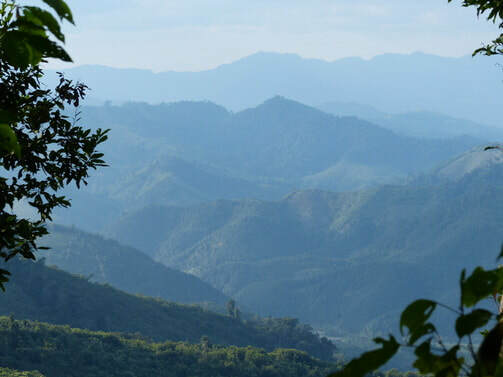 Upon reaching a high ridge with enchanting views across hills and valleys we see before us, nestled deep in the heart of Namha NPA, is the Nalan village of the Khmu people and your home for the night. You have free time to explore the village, meet the local people, chat with your host or refresh yourself in the Namha river! Later, relax in your homestay or eco-lodge while your dinner is freshly cooked fresh by your guides. Feel free to observe and learn how to cook Laotian food! Enjoy another delicious meal by candlelight and sleep blissfully for the night. Wake up to the sounds of the jungle and a hearty village breakfast made fresh by your guides. After breakfast we meet up at the riverside behind the eco-lodge and, after basic instructions on kayaking or rafting techniques and safety, we begin paddling down the glorious river and soon find ourselves speeding through the first few rapids. 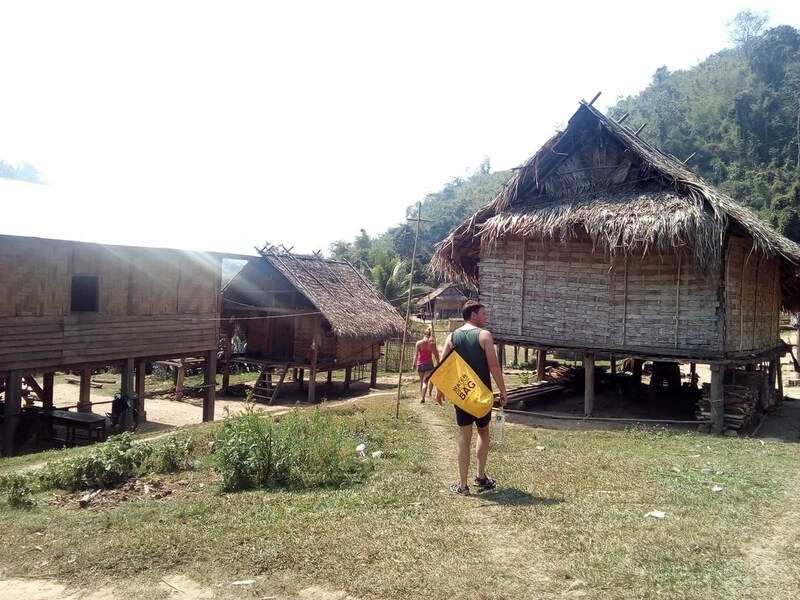 After passing by villagers fishing in the river and paddling to your hearts' content we we stop off further downriver to visit another charming Khmu tribe at Nalan Tai village, and enjoy another delicious Lao picnic lunch. 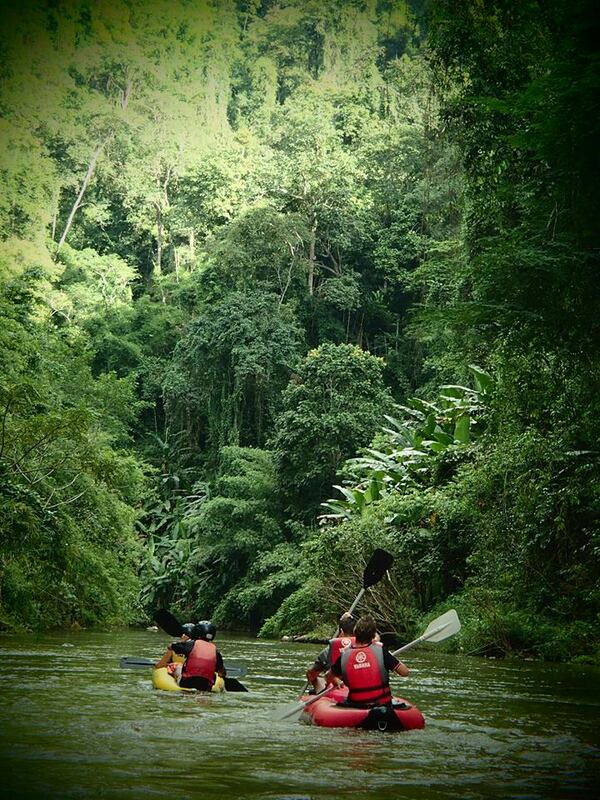 Back on the river take time between tackling each exciting rapid to watch dramatic scenery unfold, as steep jungle-covered hills rise almost vertically on each side. We land at the picturesque Nam Koy village of the Lantan people where you can learn about their unique methods of natural dying and bamboo paper making. Back on the river, the current quickens and we join the mighty Namtha river. After tackling yet more exciting rapids we reach the Houy Leuat village and the end of our kayaking adventure. Our dedicated tuk-tuk collects us for a 1 hour ride back to the Discovering Laos office. The price ranges from $60/person (USD) for 8+ Pax to $194/person (USD) for 1 Pax.